In possession of a small, rear battle axe block, the owner's of this new home were looking for low maintenance, open plan living with a multi functioning layout. 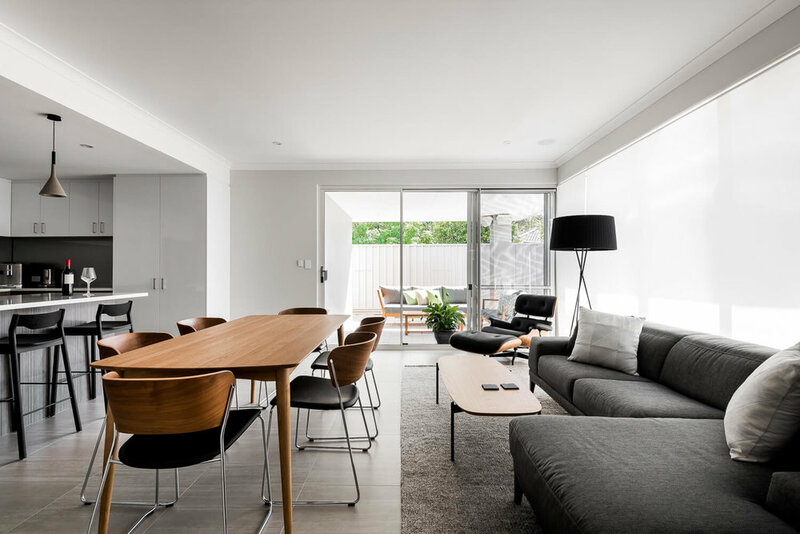 They came to Dalecki Design wanting to utilise every square metre of their challenging block to its full potential. The site had a north facing rear orientation, so it was imperative that the design took advantage of this to maximise the owners daily energy savings. A vital aspect of the project brief was for the design to focus on the overall function and flow of the home, with an emphasis placed on entertaining. 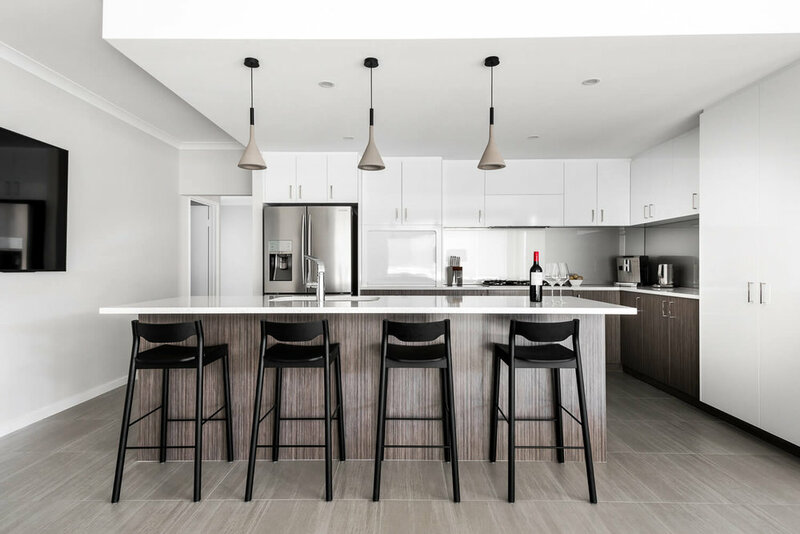 In order to achieve this, an open floor plan was created centred around one multi functioning living space that utilised the kitchen as the main feature of the home and maximised the connection between the outdoor alfresco and internal living areas. The main living area incorporates built in storage and a multi use study nook to maximise the potential of the small footprint home. The main living zone was designed to be sectioned off to create multi functioning zones, remaining open for entertaining or being closed off to create a more private home theatre space. These carefully designed spaces eliminated the need for both the study and theatre to be separate rooms, which the smaller block did not allow. The master suite was kept separate from the remainder of the home, providing the owners with maximum privacy within the confines of the small block.